""I remember a macabre joke..."
The distinction between history and memory may not be evident at first. Is not history the storytelling of the memory of nations and of people? The Father of History, Herodotus, might have thought so, as did many of those who followed his pioneering path of retrieving the vernacular narrative, and especially of underpinning it with a new, judicious perspective, namely sources, material and textual evidence, the bare bones of facts. History was intended to bolster individual or collective memory, to ensure its transmission and transference through the ages, and across the generations; to guarantee its survival and critical place with regard to our understanding of our own humanity. History, however, soon turned into foundation myths and narratives, and it has come to mean for many, especially since the early 20th century, an officially endorsed version of public commemoration, a variant of the truth intended to serve vested interests, class or nationalist goals, ideologies. Yet we may want to remember another Greek historian, Thucydides, the Athenian general whose record, and especially analysis, of the Peloponnesian War between Athens and Sparta, is perhaps the first clearly articulated philosophical statement of what history ought to be about: it ought to enable us to process the story of our being in time in the way that is known today as Facing History and Ourselves – and it was Thucydides who provided the first stark, unmitigated lessons in that direction. “What has happened once, may unfortunately happen again, if not exactly in the same way. To prevent this, it is important to remember. The past leaves its mark on the present and casts its shadow on the future,” writes Hédi Fried, a Holocaust witness and survivor, a psychologist who made it her life’s work to lecture on the harrowing human stories of both victims and survivors; on the vital need to speak but also to listen; to extend that gaze of methexis as Aristotle called it, that allows for true empathy, for emotional and not merely intellectual understanding. For her, listening to first-hand accounts is of foremost urgency. A way to confront evil or even indifference with the simple indomitableness of the value of a human life. It is especially a way to affirm that memory is not solipsistic but shared, communal, a patrimony to be cherished and bequeathed. To be heeded and never ignored. History and memory are intertwined; and they are inextricable, in their union, from the most basic precondition of who we are, of all that we are, or could and should be: mutual Sameness and Otherness, I-and-Thouness. On the surface, this is an account addressed to the young: it uses language that allows the more pliable minds of children to adjust to the scope and scale of the horror tale Fried knows must be told – and without embellishments of the Life is Beautiful kind. She uses the wide-eyed perspective of the still young to look with unflinching proximity at things unbearable, unspeakable, unyieldingly shocking for adult intellects. 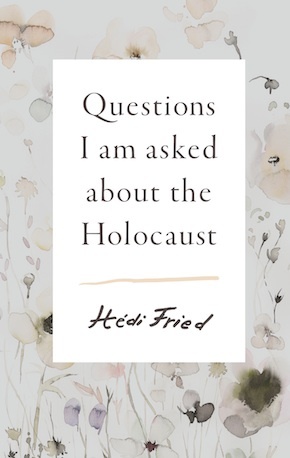 The narrative voice is soft, kind, innocent, sometimes indolent even, rendering the story all the more intransigently shattering, vicious, deranged, beyond rationalisation, as she points out “there is no single answer to the question ‘why did the Holocaust happen?’” Because it is addressed to what Fried feels is the more vitally receptive consciousness of children, Questions I Am Asked About the Holocaust allows itself an almost Lego-block by Lego-block approach of building up the layers and the tension. At the same time, it achieves what many more scholarly attempts spectacularly fail to do: it immerses us into the quagmire and evokes the only reaction possible: shock, terror, incredulity at the fiendish magnitude of evil; resilience towards it, precisely because we are invited to look at it from close up through the lens of the human microscope that is Fried’s heart, mind, experience, as though it were a fast-multiplying colony of lethal bacteria she invites us to observe. Part of the poignancy is the sheer banality and absurdity that were the most striking and toxic symptoms: the surreality of retaining normal human reactions in the face of abnormal, inhuman circumstances. As they are leaving their house following the new laws separating Jews from the rest of the human community, “papa locked up, put the keys in his pocket, and we were taken in the ghetto.” Locking up was of course a nonsensical gesture; keeping the keys and putting them in one’s pocket was likewise an absurd adherence to regularity and to the ways of human life. And yet it is such slips of the mind as it strives to run away from terror that act like harsh, glaring floodlights exposing the greater scale of horror. Throughout Fried’s book there is a sense that she has been holding on to stories, memories, scars and unhealed traumas with the same strength and tenacity with which she would have liked to hold on to the people, places and life that were so devastatingly annihilated (Förintelsen, the Swedish term for the Holocaust, means exactly that, Annihilation). Her resolve should be ours too: it should urge us towards understanding, change, judgement, assessment. It should awaken, above all, the instinct to remember another’s memory, which is perhaps the ultimate worth and value of history. If remembrance belongs only to those who experienced its material cause and substance, then humanity is doomed to failure, to an annihilation at least as monstrously momentous and absolute. An implicit question whenever one seeks to understand the fibre and meaning of humanity, the theme ultimately at the core of Fried’s book, is ‘when does or should memory begin?’ A question that should invariably invite the answer: ‘whenever anyone remembers.’ And it should never end or fail to find the vital connections that sustain it. Memory requires community – and that is intended to mean much more than material presence, concurrent existence in time and space. The will to be responsible, the responsibility over what to will is also another crucial theme we face now as much as ever before. The harrowing sense of incredulity at how Nazi and fascist ideologies were possible, at how the Holocaust was possible, how any of the crimes committed in that historical framework were even conceivable, cannot but haunt us even more devastatingly today. If we are to retain our humanity, we cannot but reflect on how such normalisation of inhumanity could be ever accepted. How it is ever possible for individual consciences to be deactivated, violated, annihilated, mutated into something beyond even the monstrously atrocious. We must remember not only what has touched us, or what we can touch with the doubting fingers of a Thomas, unable to transcend our own perception of being and time; we must also, and perhaps above all, remember what touches upon the very notion of being truly human. Fried’s book is a lesson in such remembrance, and perhaps not only for the young. It is a tribute to a particularly profound human memory, that of the Holocaust. Anyone who can remember that time, anyone who can remember someone who could remember, or anyone who feels the instinctive urge to be one with the humanity of memory, and the memory of humanity, cannot but be moved deeply and quite actively by Fried’s book. And perhaps this is the answer she gives best of all to the question she has not been asked: why we should remember anything or anyone at all in order to be, in order to be worthy of being. Hédi Fried is an author and psychologist. 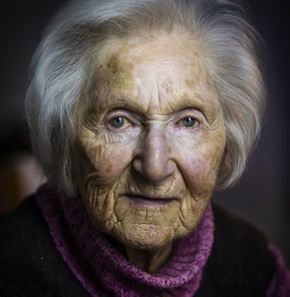 She was born in 1924 in the town of Sighet in Romania, was transported to Auschwitz in 1944, and worked in several labour camps, eventually ending up in Bergen-Belsen. After liberation, she moved to Sweden with her sister, and has lived there ever since. Her bestselling autobiography, Fragments of a Life: the Road to Auschwitz, was published in English and Swedish in the 1990s. Questions I Am Asked About the Holocaust is published in hardback and eBook by Scribe who, in honour of International Holocaust Remembrance Day on 27 January, are donating 1,000 copies of the book to UK schools and libraries. Alice E. Olsson is a Swedish-English translator born in Stockholm and based in London, who specialises in human rights advocacy, legal translation and technical documentation, as well as literary translation.